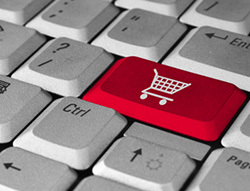 As a retailer, selling your products online can increase your sales by an exponential amount. It expands your clientele and removes geographical boundaries so you can become a national or international retailer. 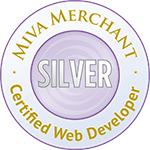 IPSSolutions.com has been developing ecommerce stores with Miva Merchant since 1999. Our guidance and expertise in this process will make an online store a viable and uncomplicated option for any retailer. Whether you're a startup business or an established retailer we have a solution for you. We offer low cost ecommerce startup options, premium packages, as well as customizable ecommerce solutions. An easy to use administrative console lets you manage your store from anywhere with an internet connection. A feature rich platform at an affordable monthly cost with the flexibility to grow with your brand and clientele. It can confusing and difficult to choose an ecommerce platform, especially if you're not very familiar with all the terminology, features, and what it means to you and your customers. Click here to learn why you should choose IPSSolutions to develop your ecommerce store. Why Choose Us to Be Your Ecommerce Developer?